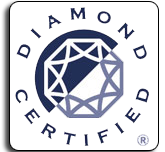 The Santa Clara trenchless sewer replacement professionals that work for our company are guaranteed to have the training, experience and knowledge required to handle your sewer repair or replacement job. 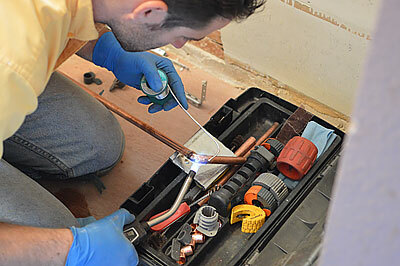 Through the use of CIPP (Cured In Place Pipe) and epoxy, our plumbers can quickly and effectively repair/replace almost any sewer line with little to no property damage. Since Campbell and Santa Clara trenchless sewer replacement is so minimally invasive, it has become one of our most popular sewer replacement services. 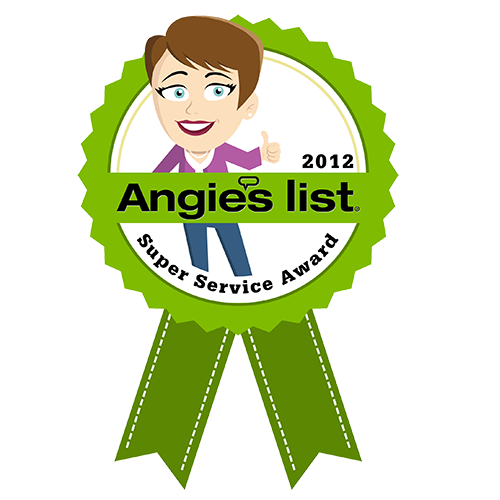 Give us a call at (408)215-4612 if you think you would benefit from a trenchless sewer replacement or repair today. 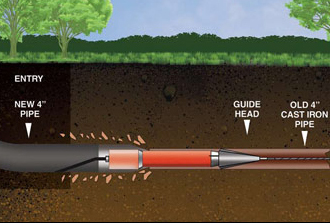 Since trenchless sewer replacement in Santa Clara and Cupertino is a relatively new method of sewer repair and replacement, it is understandable if you do not understand how it works. First, an inspection is performed to determine the extent of the damages. After the inspection, two small access holes are dug. Once the holes are in place, a drill is sent from one end of the damaged sewer line to burst and clear away any remnants of the original pipe. Then, through the freshly drilled hole, a liner is pulled through and filled with epoxy and CIPP material. 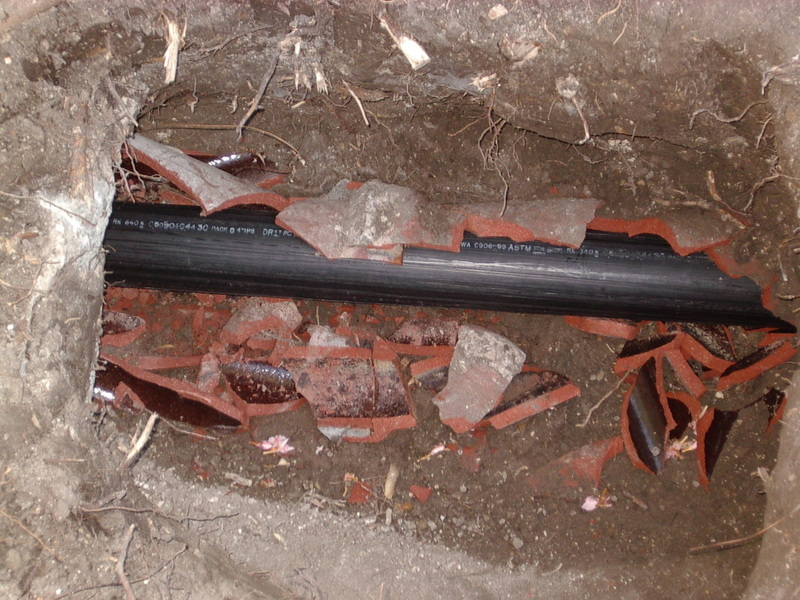 Once the material hardens, the liner is removed leaving in its place a perfectly formed and functional sewer line. New homeowners may have bought a home only to later discover that the sewer line is badly damaged. This is when it is wise to give our company a call to discuss trenchless sewer repair in Santa Clara or Los Gatos with a professional team. Trenchless sewer replacement is a complicated process, and should only be handled by a team of reliable professionals. 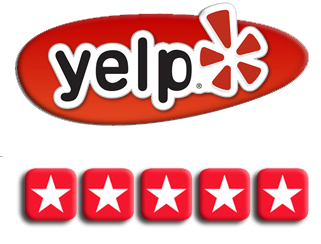 Luckily, if you give us a call, then that is exactly what you will receive; a reliable team of educated and experienced trenchless sewer replacement plumbers. When it comes to fast, reliable, affordable and minimally invasive trenchless sewer repair and replacement services, we’re the go-to company. 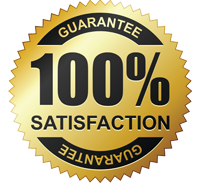 We have been supplying home and business owners with quality sewer services for many years and we always come highly recommended by our many satisfied customers. If you think your home or business could benefit from Morgan Hill or Santa Clara trenchless sewer replacement or repair, then please do not hesitate to give us a call.